Improved price on this exquisite Montclair home only 7 minutes from Montclair! Come via Colton/Skyline/Elverton. 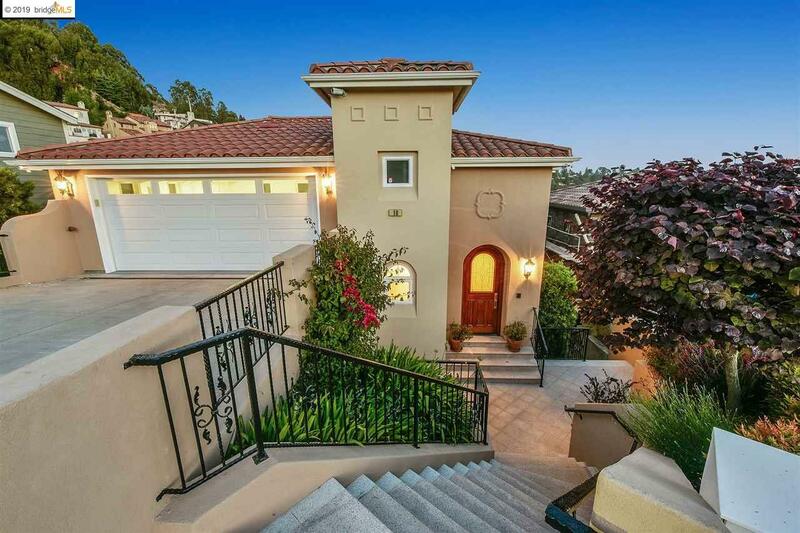 Spacious home set on a quiet cul-de-sac overlooking city lights and hillsides of trees. Unsurpassed craftsmanship includes a seductive blend of modern hardware, hand-picked natural stone and warm woods.Â An arched doorway and grand foyer with curving staircase leads down to the main level featuring an open layout with living room, well-appointed gourmet chef's kitchen, dining area and family room. French doors open onto the deck for enjoying the serene views. The second level features a bedroom and full bath and a large master bedroom suite with ample light and deck.The master bathroom features dual sinks, jetted tub for two and a large steam shower. The lowest level has separate exterior access convenient for guests. It features a large bonus room, bedroom, deck and full bath. The uppermost level features a two car garage, office and elevator serving the upper three levels.